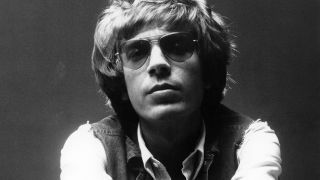 Scott Walker has died at the age of 76. The statement goes on to say: “From teen idol to cultural icon, Scott leaves to future generations a legacy of extraordinary music – a brilliant lyricist with a haunting singing voice, he has been one of the most revered innovators at the sharp end of creative music, whose influence on many artists has been freely acknowledged. Born Noel Scott Engel in 1943, Walker changed his name and became a teen idol in The Walker Brothers in the mid-60s, enjoying hits including The Sun Ain’t Gonna Shine Anymore and Make It Easy On Yourself. He then went on to record the solo albums Scott, Scott 2, Scott 3 and Scott 4 between 1967 and 1969. His work became more experimental in the ensuing years with titles including Tilt, The Drift and Bish Bosch pushing his material down an even more avant garde path. Walker also worked with Sunn O))) for the 2014 album Soused, which introduced him to a raft of new fans. His last record was the soundtrack to the 2018 movie Vox Lux, which starred Natalie Portman and Jude Law. During his celebrated career, Walker also worked with artists including Pulp and Bat For Lashes and was also recognised for his work as a producer. Radiohead vocalist Thom Yorke was one of the first to pay tribute to Walker, saying: “So very sad to hear that Scott Walker has passed away, he was a huge influence on Radiohead and myself, showing me how I could use my voice and words.